This blog answers FAQs on the new Automated and Manual MicroCal PEAQ-DSC systems. For more information, check your user manual, or contact your regional Malvern Panalytical Support. Q: How much sample do I need to fill the MicroCal PEAQ-DSC cell? 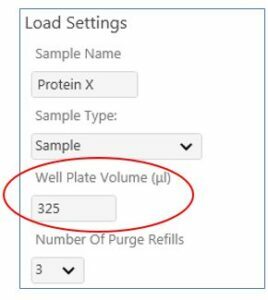 For the MicroCal Automated PEAQ-DSC, you need to have at least 325 μL of the sample or buffer in the appropriate well of the 96-well plate. This is the default setting for the experimental setup. 300 μL is removed by the filling syringe. 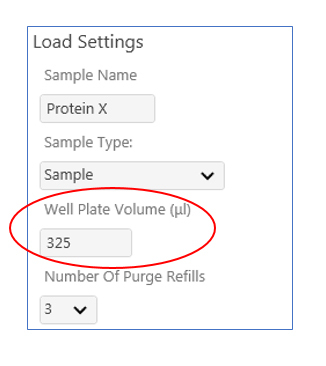 You can use a larger sample volume (up to 400 μL) and enter the actual “Well Plate Volume” in the “Load Settings” experimental set-up (Figure 1). This volume is used to calculate the concentration of the sample in the DSC cell, accounting for inherent dilution from the Autosampler. For the MicroCal Manual PEAQ-DSC, cell filling is performed with a fixed volume 250 μL pipette, so you need at least 250 μL sample or buffer (270-280 μL prepared sample is recommended). There is no dilution factor. Q: How many scans are sufficient to “warm up” the MicroCal PEAQ-DSC? It is important to re-establish the thermal history after the DSC has been idling at a set temperature and not actively performing heating/cooling cycles. For the MicroCal Manual or Automated PEAQ-DSC, two or three water-water or buffer-buffer scans are sufficient to warm up the DSC cell. For the Automated PEAQ-DSC, you can also use the buffer “Assessment Setting” which rescans up to five times and automatically determines when the instrument has warmed up. 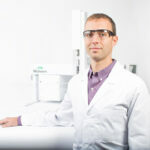 Q: What is the “Number of Purge Refills” on the MicroCal Automated PEAQ-DSC? What setting should I use? 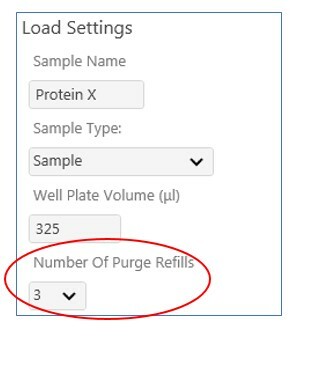 The “Number of purge refills” setting on the MicroCal Automated PEAQ-DSC (Figure 2) fills, then empties, the sample in the 96 well plate. 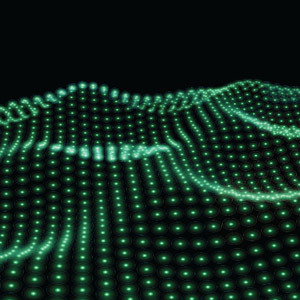 This process mixes the sample prior to loading into the DSC cell, and minimizes any potential mismatch due to sample settling during storage. Samples with high salt or other components which affect solution heat capacity can be non-repeatably diluted with only one purge refill/filling stroke. To improve sample-to-sample thermogram reproducibility, we recommend using at least 3 purge refills. 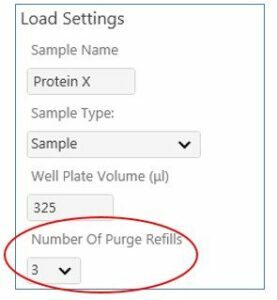 If the sample volume is greater than 325 μL, and/or you are using a buffer that contains a component that increases viscosity, you should program 5 purge refills. The MicroCal VP-Capillary DSC has a “Number of Filling Strokes” setting (in the “Advanced” tab), which is equivalent to the purge-refill setting. You should use 3 to 5 filling strokes for the MicroCal VP-Capillary DSC. Q: What are the different clean settings and which ones should I use? 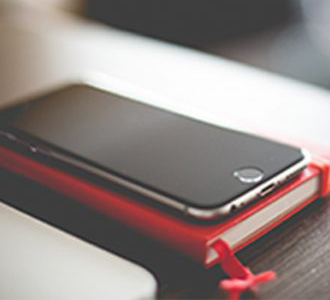 Having a clean DSC cell is important to produce high-quality DSC data. 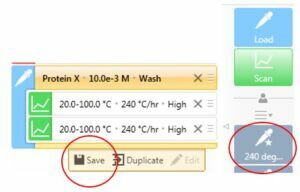 For the MicroCal Automated PEAQ-DSC, there are three programmed options in the “Clean Settings” window. The recommended detergent is 20% Contrad 70 in water (or 14% Decon 90), placed in Solvent Reservoir 1 (the reservoir closest to the autosampler). Note that the selected cell cleaning in the load setting is performed AFTER the scan(s) are completed, prior to loading the next sample in the sequence. Rinse: The DSC cells are emptied, then rinsed with water. This cleaning method is recommended after water-water or buffer-buffer scans. Wash: The DSC cells are emptied, rinsed with detergent, then rinsed with water. This cleaning method is recommended after EVERY sample scan. Scan: The DSC cells are loaded with detergent, and a heating upscan is performed according to the next scheduled scan’s settings. The cells are rinsed following this scan. This cleaning method is recommended after the final sample scan of the sequence (or after every sample scan when data suggests that a particular sample is sticky), to ensure the DSC cells are clean. Detergent scan data are saved, and the file name ends in *DETERGENTSCAN.dscx. The detergent scan data are not included in the DMES file. When Wash or Scan are selected as the Clean Method, you may choose to specify extra water rinsing beyond the 5 mL default setting. The automated PEAQ-DSC has been extensively tested, and we verified that 5 mL rinse is sufficient to remove 20 % Contrad 70 (or 14% Decon 90), users should determine, experimentally, sufficient rinse volume when using other cleaning reagents. It is also important to note that prior to the 1st scan of the sequence, the DSC cells are emptied, and then immediately filled with material stored in the 96-well plate. The autosampler injection syringe and the DSC cells are not rinsed or cleaned. 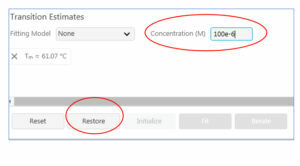 If you are not sure if the DSC cells are clean, or there is an alert that the DSC cells have not been recently cleaned, use one of the cell cleaning methods found under the “Maintenance” tab” prior to starting the sequence. For the MicroCal Manual PEAQ-DSC, we have recommended cleaning procedures with 20% Contrad 70 (or 14% Decon 90), refer to the user manual and videos. Q: What is the Reference Material that was used during the MicroCal PEAQ-DSC installation and Operational Qualification? Can I get it to use as a verification sample? The MicroCal PEAQ-DSC Reference Material is a proprietary oligonucleotide, in PBS buffer. The Reference Material has been extensively tested and qualified, for use as an Operational Qualification (OQ) standard for MicroCal PEAQ-DSC systems. If you want to use the Reference Material as a performance verification standard, you can order a Reference Material kit to run on your MicroCal PEAQ-DSC or VP-Capillary DSC instrument. The kit includes Reference Material to perform two sets of assessment scans (each set in triplicate), Reference Material Buffer, methods and report files, and instructions for use. 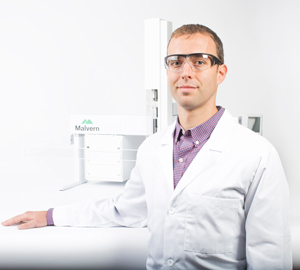 Q: When I used the MicroCal VP-Capillary DSC, I needed to set the “Filter Period” in the scan settings. There is no Filter Period setting for the MicroCal PEAQ-DSC. Why? The MicroCal PEAQ-DSC filter period is based on the scan rate – the faster the scan rate, the shorter the filter period is (in seconds). This results in the same number of data points per °C of the thermogram. Q: I want to save a specific load/scan setting for future use. How do I do this? To save a load as a template for future use, with the load selected, click Save and enter the name for the template. The template appears as a gray item below the original “Load” and “Scan” items (Figure 3). Q: How do I change the sample concentration for data analysis? In the “Analysis” window, go to the “Fit” view. Below the thermogram is a box where the molar concentration is entered. Change the molar concentration in that box. 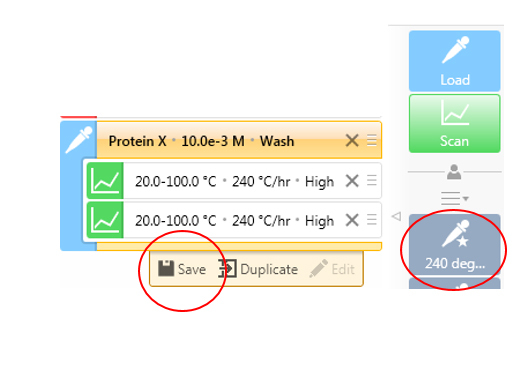 You can simultaneously change the concentrations of multiple records highlighted in the records list. If you are using “None” as the fitting model selection, click on “Restore” to recalculate the total area of thermogram (Figure 4). If you already fit the data to the two-state or non-two-state model, click on “Fit” to adjust the fit parameters. Once you change the concentrations, you will notice that an asterisk (*) appears in several places, including next to the sample name/file number in the records list, and the cell concentration in the record information. This indicates there has been a change to the DMES. 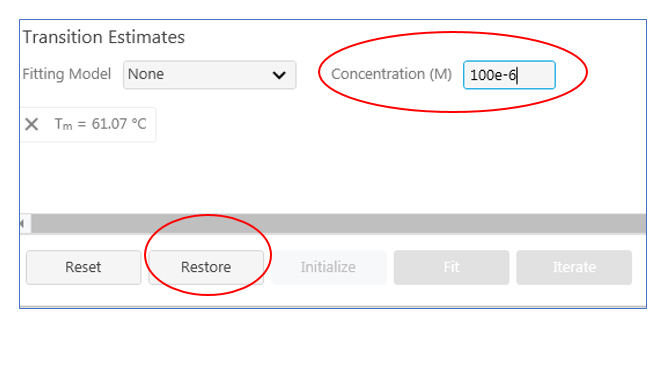 After you change the concentrations(s) and update the fitting, be sure to save the DMES file with a different name. Q: I want to export the DSC data; how do I do that? In the “Reports” view, go to a report that includes the desired data chart(s), and select the DSC record(s) of interest. In the upper right of most fitted chart views, there is a “Export Menu” option. 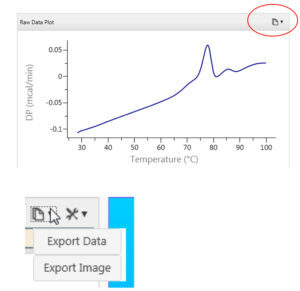 When the Export Menu icon is opened, you can choose to “Export Data” or “Export Image” (Figure 5). The data will be exported to a csv file, with two columns per raw DSC scan. 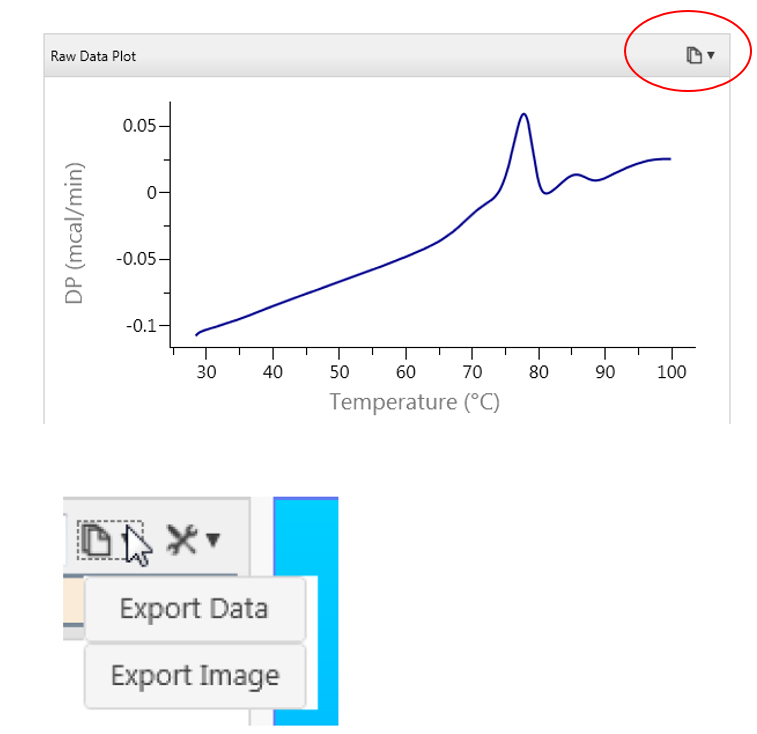 You can also export buffer-subtracted data, fitted data, truncated data, and the fit data with individual transitions. Q: How can I get the latest software updates and manuals for the MicroCal PEAQ-DSC? The latest release of PEAQ-DSC software is version 1.30. The Summary Update Notification (SUN) describes what is included in the update, and instructions for downloading. Remember you need to have a license, generated by the computer connected to the PEAQ-DSC, to use the PEAQ-DSC software on another computer.